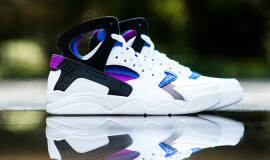 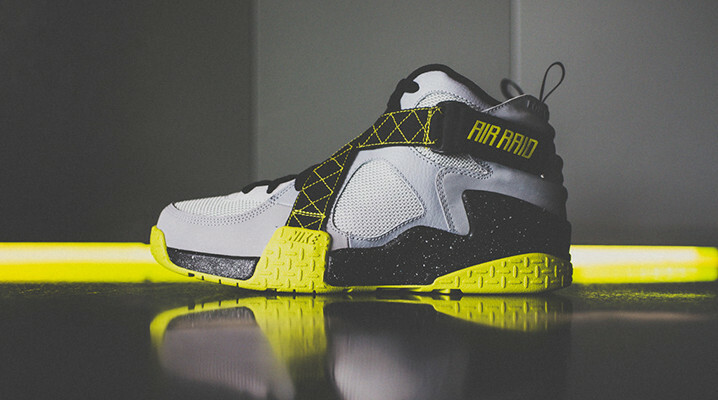 Nike unveils their third colorway in their resurgent Air Raid OG outdoor basketball powerhouse. 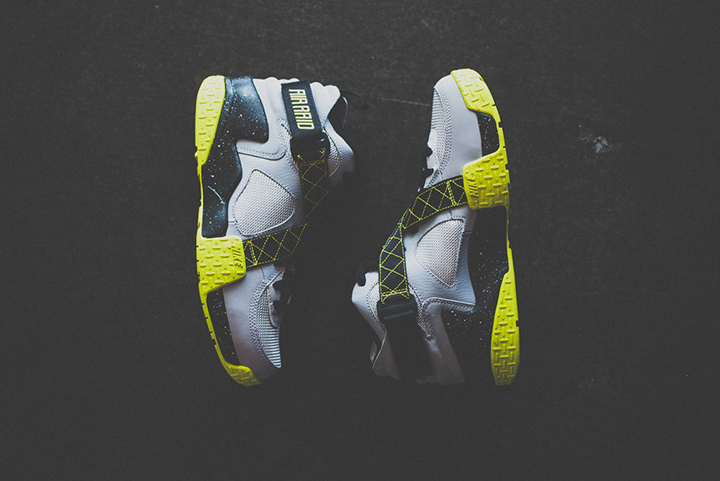 The Nike Air Raid OG Venom Green features a subtle grey nubuck and mesh upper with a black speckled midsole with menacing Venom Green highlights on the cross straps, branding, and outsole panels. 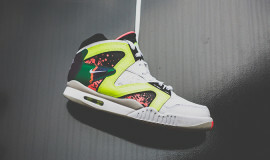 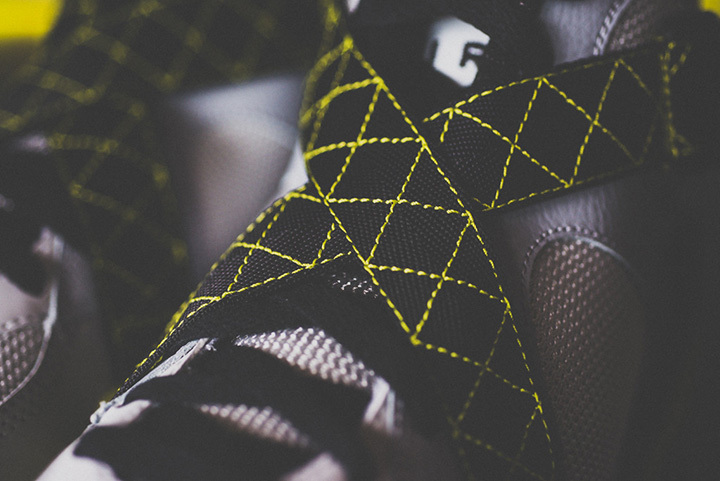 The bright neon really sets these off and highlights the steel plate texture along the bottoms. 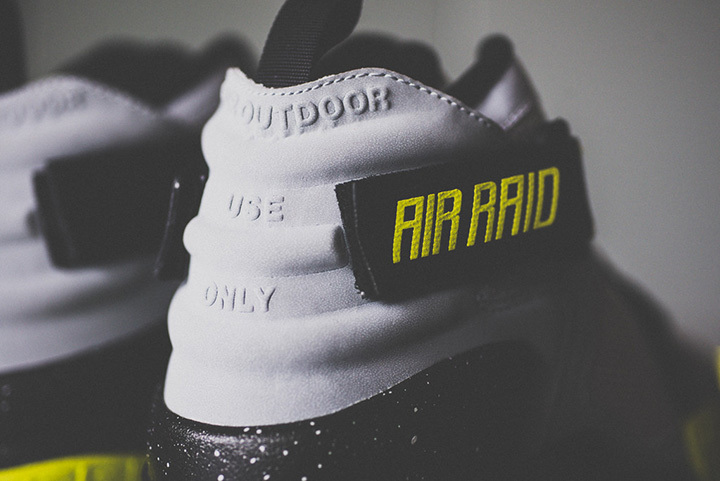 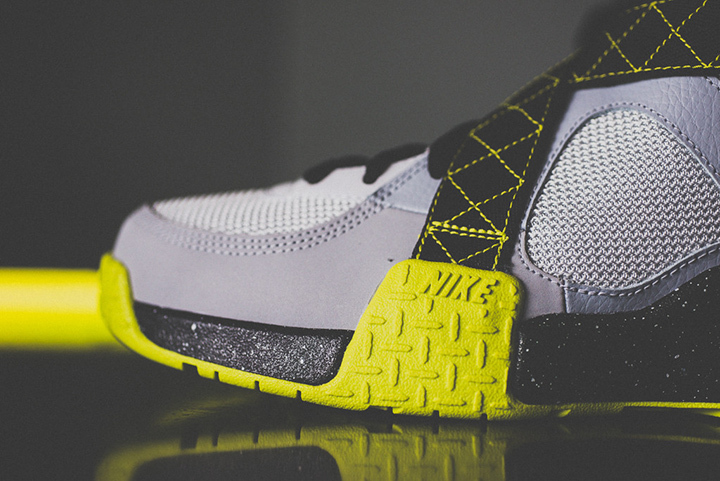 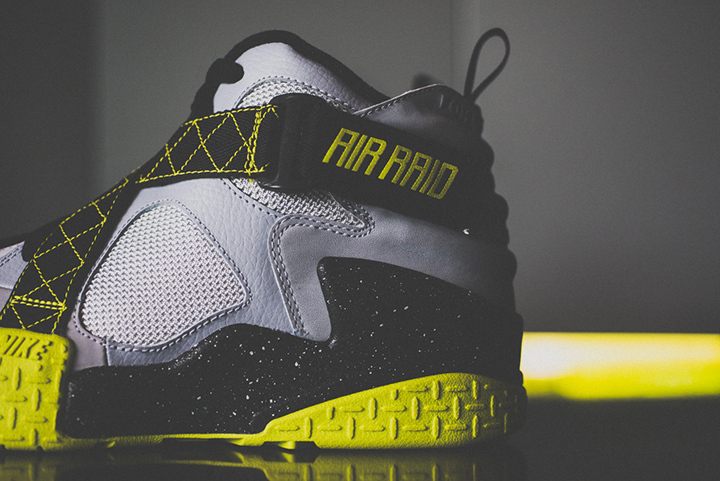 Check the Nike Air Raid OG Venom Green below and cop yours for $135 from Sneaker Politics.